In a bizarre shift, the usually-dovish crowd of Democrats and other assorted liberals in the United States are suddenly braying for blood. By posting memes on social media, Russia has allegedly committed an act of war against us. Just like you can’t post anything that leftists might consider hate speech, apparently you can’t post your opinions about U.S. presidential elections unless you’re a citizen. Strangely enough, though, liberals seem to want everyone to be eligible to claim citizenship, regardless of whether they’ve been through any sort of background check. 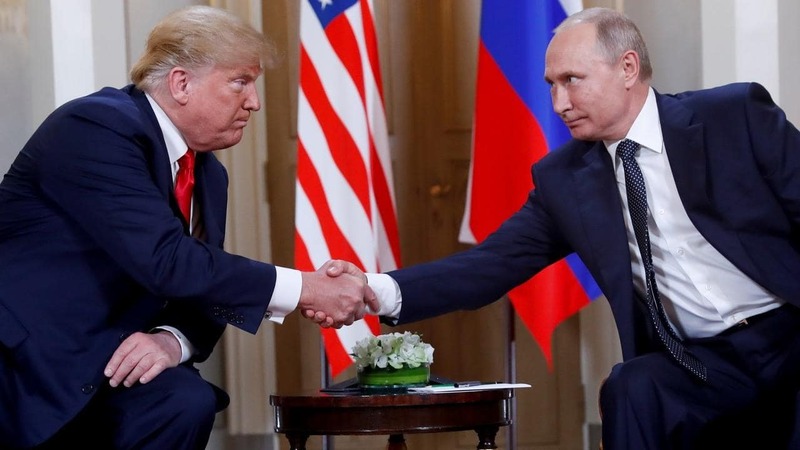 After the Helsinki summit, where President Donald Trump took the strong step of meeting Russian counterpart Vladimir Putin face-to-face, the mainstream media and gallery of congressional Dems are frothing at the mouth. They claim that Trump appeared weak and handed Putin a political victory by not grabbing and throttling the Kremlin-dweller over Russia’s 2016 meme-posting. Ironically, Trump’s supposed aggression during earlier European trips got him similarly upbraided by the liberal media. Where is the fine line an American president is supposed to balance? Aside from criticizing the President for being too forceful, and then not forceful enough, when it comes to meeting foreign leaders, leftists are also upset that he is not provoking a conflict with a nuclear-armed power. From Jimmy Carter onward, Dems have always backed down from international aggression…at least if they’re in power. Safely removed from power, liberals apparently want to play Rambo. Really? Do we really think the likes of Nancy Pelosi and Hillary Clinton want to go to war with Russia over their posting election memes on Facebook? Honestly, if your candidate’s appeal to voters was so weak that it could be erased by a nerd on Facebook whose first language was not English, the problem was not foreign intervention. The problem was your unappealing candidate. And liberals, after all, want a free and open Internet, which makes it hard to consider a foreigner’s Facebook post an “act of war.” If I post my opinions about Russia in a Russian Facebook group, should I expect the KGB to show up at my door? No. A bunch of memes got posted, Donald Trump didn’t lose his cool in Helsinki, and relations between the U.S. and Russia appear to be a lot warmer than they were two years ago. All this sounds like a big nothingburger to me, just like Hillary Clinton’s private email server.